Defra Secretary Michael Gove has said Brexit would mean leaving behind the EU's 'environmentally damaging and socially unjust' Common Agricultural Policy (CAP). 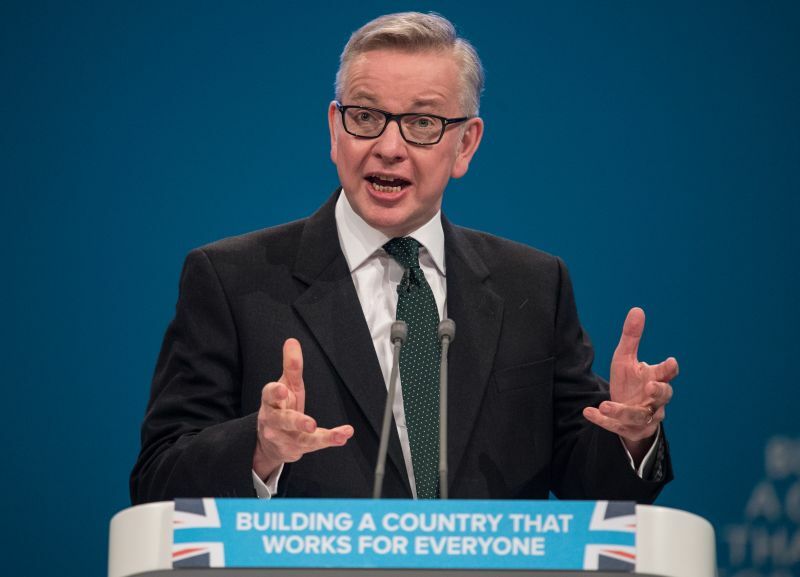 Mr Gove, speaking today (2 October) at the Conservative Party Conference in Manchester, said Brexit would allow Britain to develop better alternatives to the CAP. He said outside the EU the UK can do "so much better", especially with the advent of new technology and machinery, such as big data and drones. He also blamed the CAP for damaging natural habitats, biodiversity and wildlife, further pushing Mr Gove's 'Green Brexit' credentials. "The number of farmland birds has reduced by more than half, pollinators such as wild and honey bees have suffered a drastic decline in numbers, and our rivers and chalk streams have seen fish stocks decline and small mammals disappear," Mr Gove said in his speech. "On top of that, the CAP has channeled hundreds of thousands of pounds of taxpayers’ money to the already wealthy, simply because of the amount of land they have." "That is plain wrong," Mr Gove explained. Mr Gove said his "vision" was for a countryside that was healthier and more productive than ever before. Michael Gove also spoke about the issue of farmers having restricted access to labour once the UK leaves the EU, at a fringe meeting organised by the Countryside Alliance. He said low-skilled migrants from the EU will still be able to come to Britain to work in seasonal jobs after Brexit. Mr Gove - a leading figure in the Vote Leave campaign - said EU farm workers should be able to sign up to a seasonal workers scheme after Brexit. The move would allow farmers who are often dependent on fruit pickers from Eastern Europe to 'augment' their labour force post-Brexit, Mr Gove said. The Environment Secretary also hailed the opportunities of leaving the EU saying it will allow the UK to sell more pigs ears to China. He said leaving the EU would enable UK farmers to do away with ear tags and introduce their own “traceability methods” on livestock. “There are some cuts of the animal that are hugely popular with the British consumer, others a little less. But some of those cuts are hugely popular elsewhere, say, for example, pigs’ ears are a delicacy in China,” Mr Gove stated. Responding to Mr Gove's speech, Tom Brake, Liberal Democrat Brexit Spokesperson said the Conservatives' "terrible record" on the environment "cannot be trusted". “His call for a green Brexit is a far cry from plans set out by Liam Fox to weaken animal welfare standards and allow imports of chlorinated chicken.